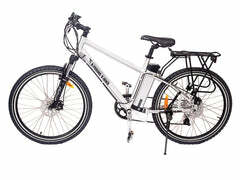 The High Step Premium folding electric bike is a powerful and stylish bike that boasts all high end parts. 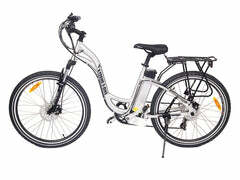 It features a fifth generation German engineered electric system and has a 48V, 500W set-up. 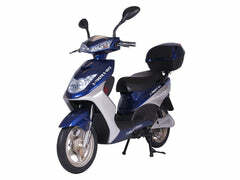 It has both trigger throttle and 6 levels of Pedal Assist to choose from when riding. 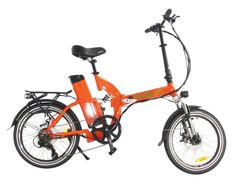 This folding electric bike has a high capacity battery to make sure you won't run out of charge and it removes for easy charging indoors. 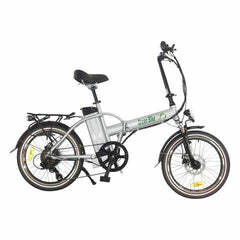 An awesome product for those looking for the latest technology and highest quality folding e-bike on the market. Check out the amazing magnesium wheels! 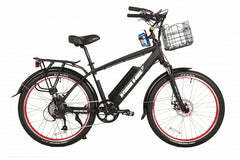 POWERFUL BATTERY & MOTOR: This electric bike is equipped with a 48 Volt 500 Watt set-up. 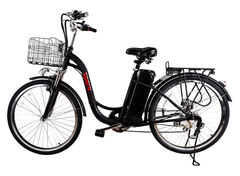 At a weight of 55 lbs, the bike will easily take you up steep hills and provide great acceleration even for heavier riders. 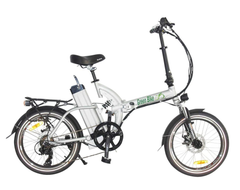 The 13 Amp battery pack is a high capacity so the range of this bike can easily exceed 30 miles per charge, don't waste your time with bikes that run out of charge! 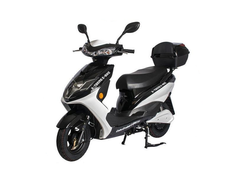 AWESOME MONOCHROME LCD DISPLAY: The display is fixed right on the handlebars so you can monitor all your stats as you ride. 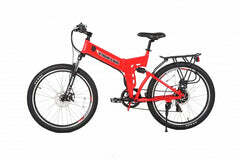 The display lets you view power output, battery life, Pedal Assist Level, Odometer, Trip Distance, and Trip Time. 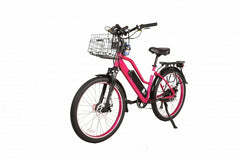 SAFETY FEATURES: The bike comes equipped with front and rear lights to always be seen when you ride. 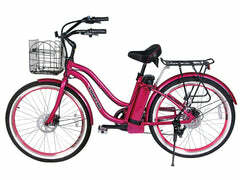 MAGNESIUM WHEELS & 20 INCH KEVLAR LINED TIRES: Stylish magnesium wheels make this bike stand out. They look just like the rim of a car. The tire specs are CST 20x 2.15″ / Kevlar Lined, Reflective Sidewall Stripe / Schrader Valve.